I'm probably not going to do this for all the giant types. Like, there are only four Cloud Giant miniatures... wait, that'd be an easy article! 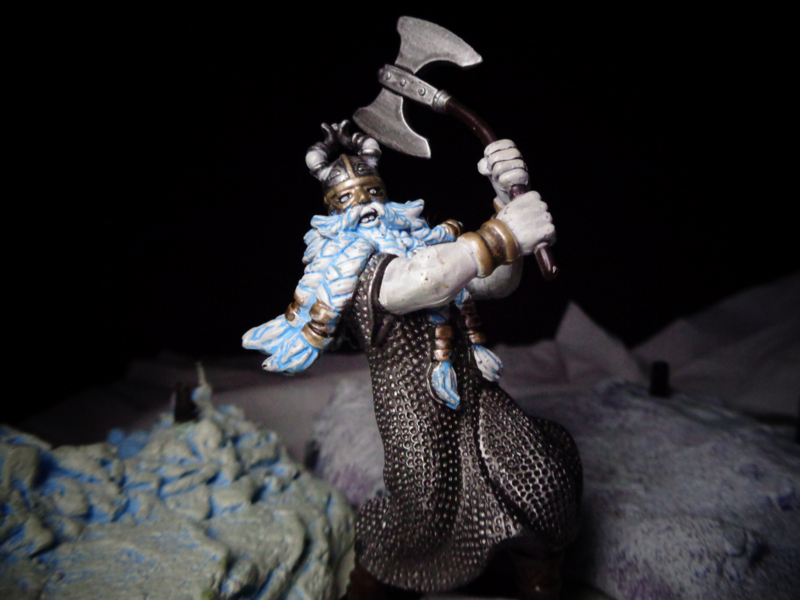 So instead, let's look at Frost Giants, who have had more minis than any other Giant type in D&D - more than Hill Giants, Stone Giants, Fire Giants, Cloud Giants, and Storm Giants. Giants have been a part of Dungeons & dragons since the very beginning. This isn’t anything special, any fantasy mishmash needs Big People. D&D has, however, thrown in multiple varieties of giant from the beginning. 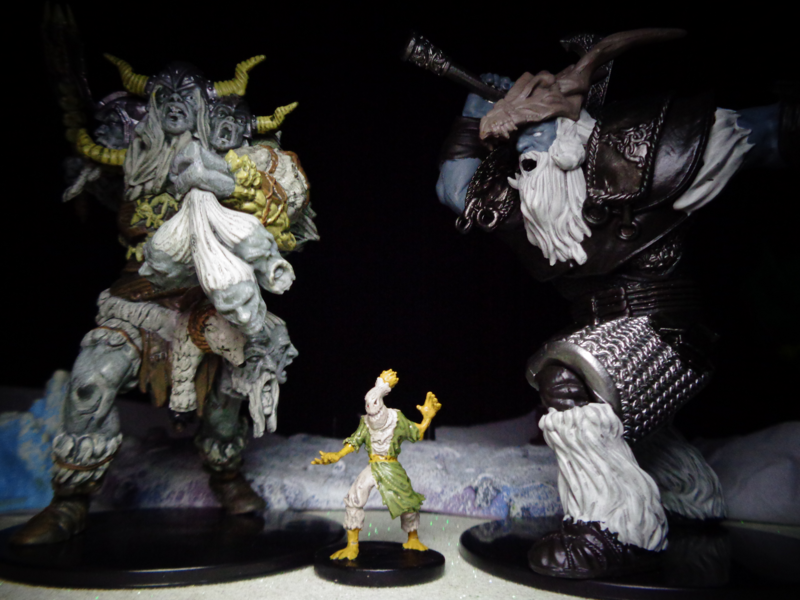 Although the number of variants is different in each edition (the longer an edition lasts, the more random stuff gets piled on), the core five types are Hill Giants (classic big cavemen giants), Fire Giants (ash-dark skin, fire-orange hair, proportioned like Dwarves, do a lot of forging), Frost Giants (gigantic blue Vikings), Stone Giants (skinny, but made of rock), Cloud Giants (extremely large, pale skin, live in the clouds), and Storm Giants (basically Zeus). Frost Giants are based on the Jotnar (singular: Jotun) from Norse Mythology. Interestingly, the Jotnar should be translated as "Devourers," not "giants." William the Conqueror brought many French loanwords into the English language. 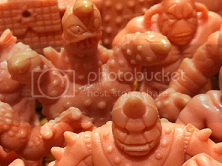 One of them, geant, is the root word of "giant," replacing the Old English word eoten. Geant specifically referred to the Greek Titans - enemies of the gods - and was also used to translate "nephilim" in the Bible. It also became the English word for the Jotun of Norse Mythology Essentially, "Giant," which we imagine as a big, ugly dude with a club, originally applied to three separate renditions of "powerful beings who oppose the gods." Sure, some were giants, but not all - this explains why the jotnar include big snakes, wolves, and Loki. 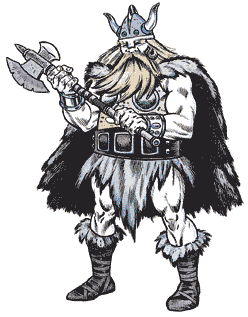 But D&D Frost Giants are straight-up giants with white/gray/blue/green skin who live in arctic climates, and have a heavy Viking aesthetic. They have also changed size between editions, going from "large" to "huge" in 5th Edition. As far as size categories go, this makes them “huge” – a normal human is “medium,” whereas Hill, Fire, Frost, and Stone Giants are “large.” Cloud and Storm Giants are “huge,” though Storm Giants are taller than Cloud Giants. Size category determines how much space an individual takes up on the map. 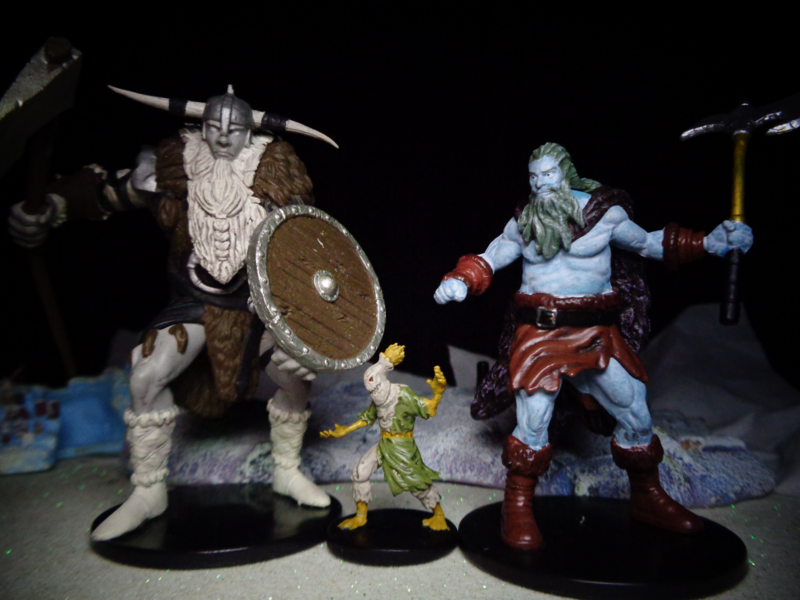 That said, these are minis – they are all in the 4″-6″ range, with the one tiny Storm Giant being about 3″. You can see some comparison shots with human-sized miniatures later in the article, as well. Just keep in mind that, when interacting with other toys, they may not seem so titanic. 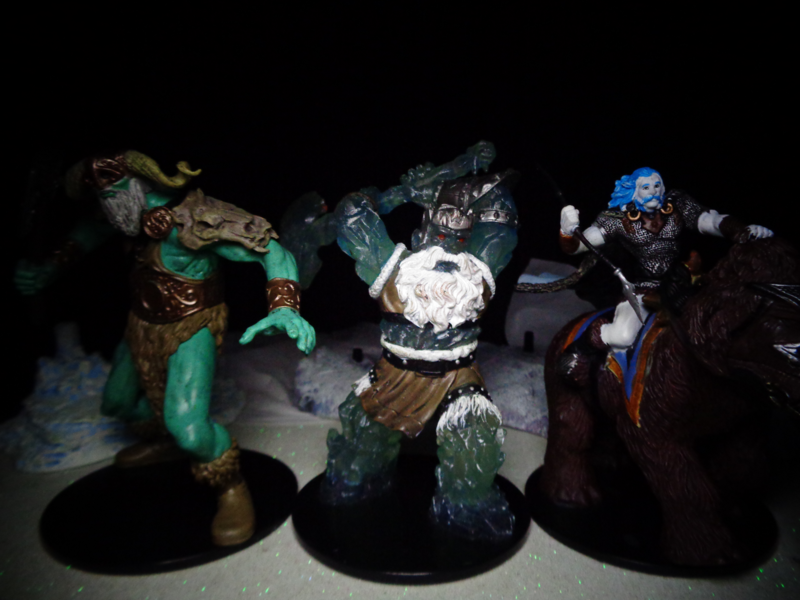 Anyway, let’s take a look at how Frost Giants have changed through the editions, and then get into the figures! 1st Edition made it pretty clear that these were big Vikings. Of course, real Vikings didn't use horned helmets, but this is a fantasy world, so stop ruining everybody's fun, Clarence. 2nd Edition is in color... not that you can tell. Anyway, he's pretty much the same. 3rd Edition gave him a gloooorious beard! 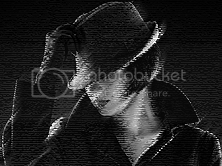 Really, you can't see the face behind it. Also, take note of this art design, we're going to see it again. 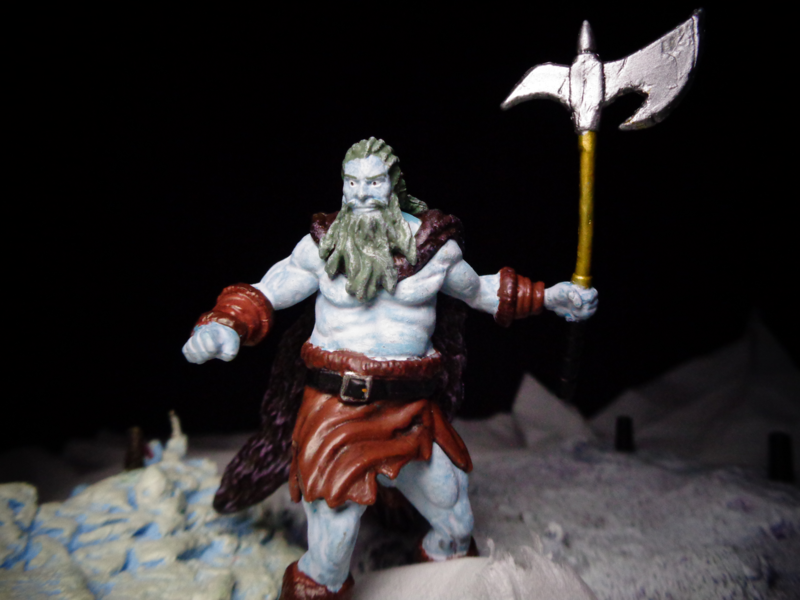 4th Edition weirded up all the giants, and Frost Giants were no different. Although the ordinary ones remained the same (same size, same everything), they also got Frost Titans. 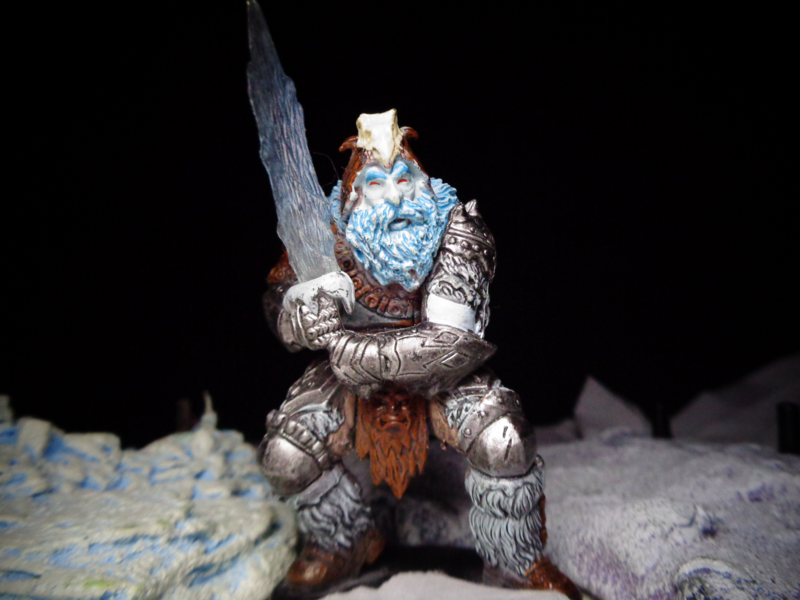 This artwork makes a Frost Titan look like a bigger regular giant, only with an obviously fake beard, but the design was described differently than that - and, in fact, the miniature reflects the Frost Titan design a little better. 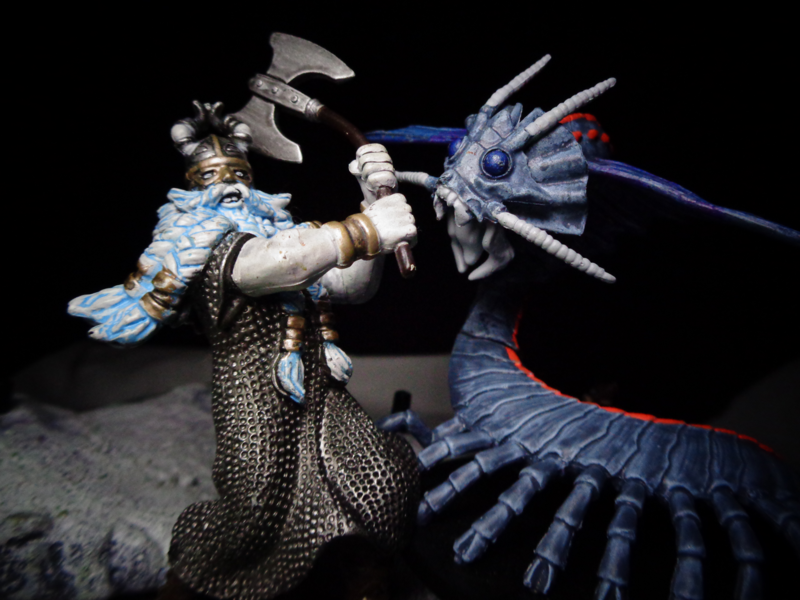 5th Edition's Frost Giants have one major difference: They doubled in size. They are all now in the Huge size category, which wreaks havoc on people who have the (surprisingly numerous) minis from previous editions and Pathfinder. Other than that, though, they are basically the same. 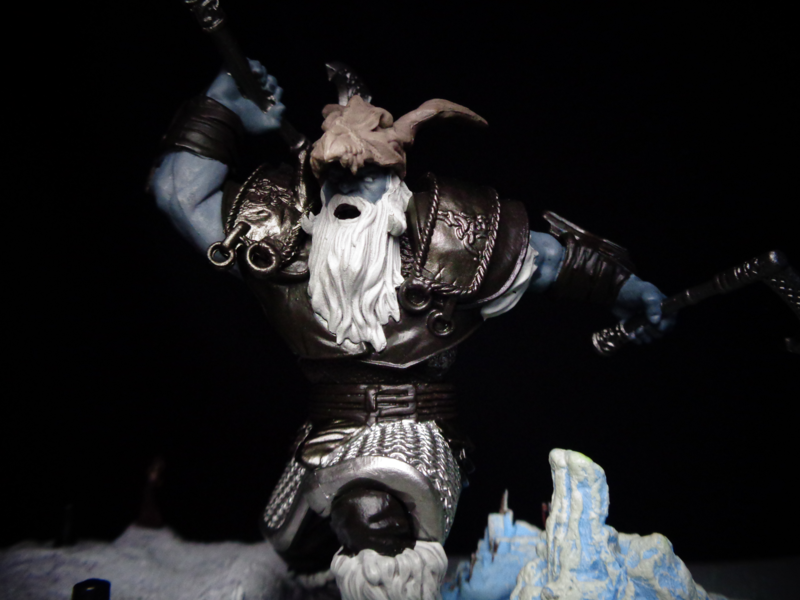 So, I've mentioned twice that there are more Frost Giant minis than any other - why don't we take a look and see if it's true? The first mini, released in 204 in the Giants of Legend set, matches the 3E artwork to a T. This includes that glorious, glorious beard. Seriously, look at that beard! 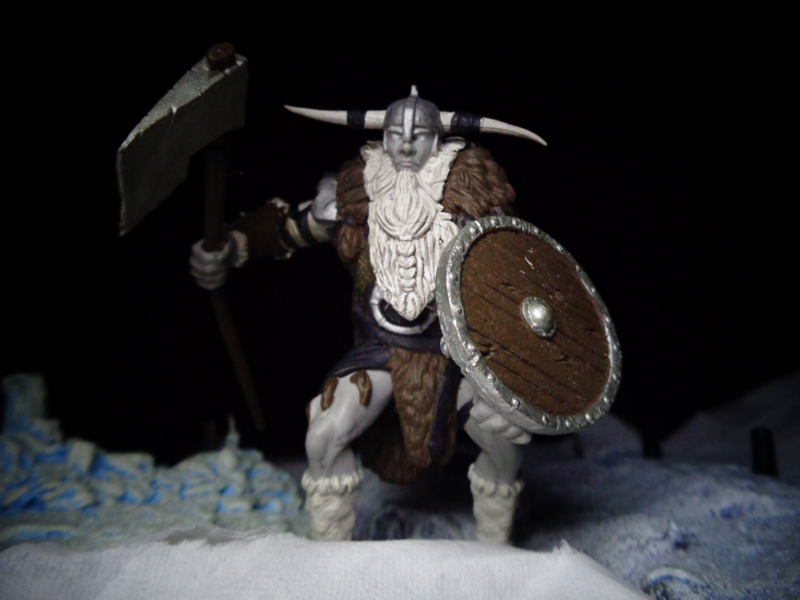 This Frost Giant also has more metal on his person than others - Frost Giants have trouble running a forge, as they can't take the heat, so his chain mail coat is a relative rarity. Some of the figures don't even use metal weapons! 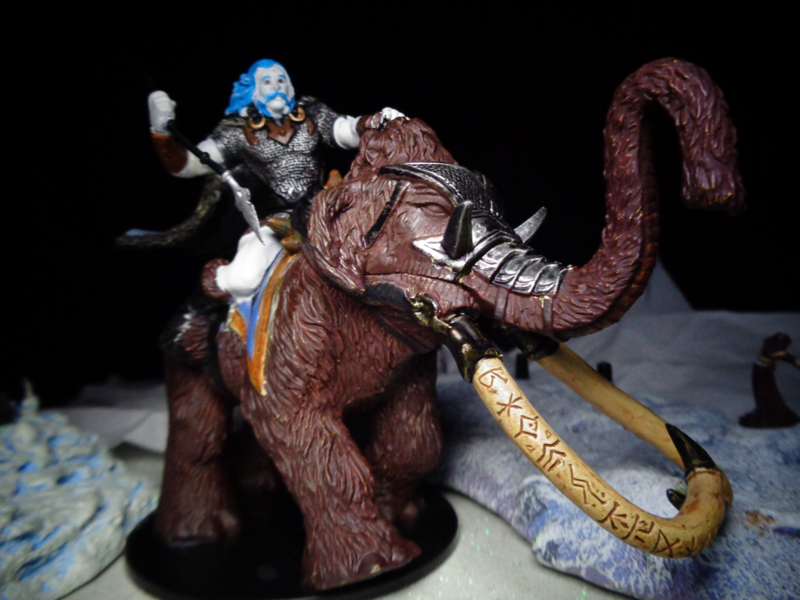 War of the Dragon Queen in 2006 gave us the Tundra Scout - he's riding a huge Mastodon! And okay, I hate to do this a second time, but look at that facial hair! His name is Earl. Anyway, this is a cool little figure, though the spear is rather fragile - I had to pick up a new one, because my old one broke in storage. The spear snapped, and then his arm fell off, and then I just gave up and tracked down a new one. Anyway, three years between Frost Giants doesn't seem like a "lot" of miniatures, but don't worry - they're about to get more frequent. 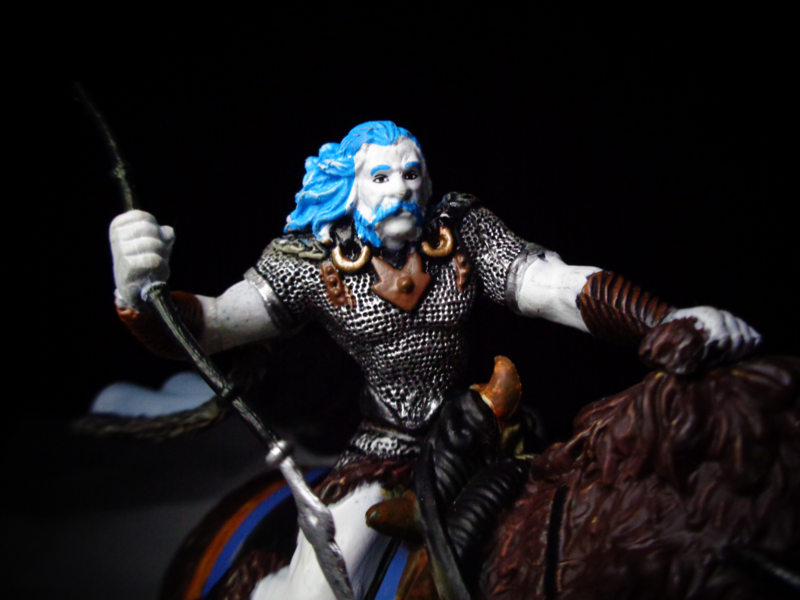 The Frost Giant Jarl, from 2007's Night Below set, is a pretty cool guy. he's a little taller and bulkier than the previous guy, and has an ice sword! He also wears furs, and does not have horns on his helmet. 2009, and 4th Edition, gave us another regular Frost Giant in the Dangerous Delves set. He's pretty standard, though his beard looks like icicles - this was also the first "Uncommon," as opposed to "Rare" Frost Giant mini, making it more readily accessible. He's got an ice axe, as well. The very next 2009 set, Legendary Evils, gave us a 4th Edition Frost Titan. 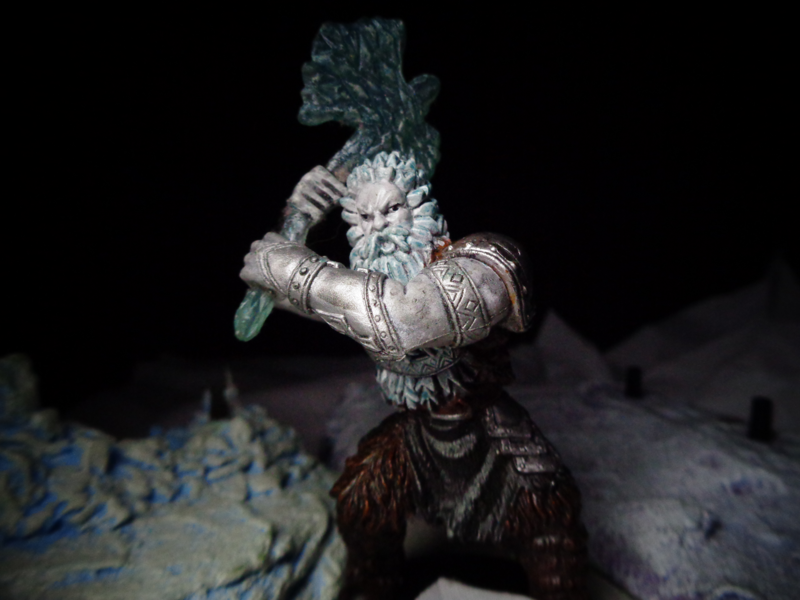 He's Huge, and made of translucent ice - it's a nice figure, even though it is extremely tie-locked to 4th Edition. Or maybe he's the Frost Miser's swole cousin. 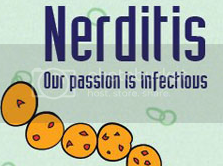 D&D Miniatures ended soon after this, but Pathfinder Minis started up immediately to fill in the slack. 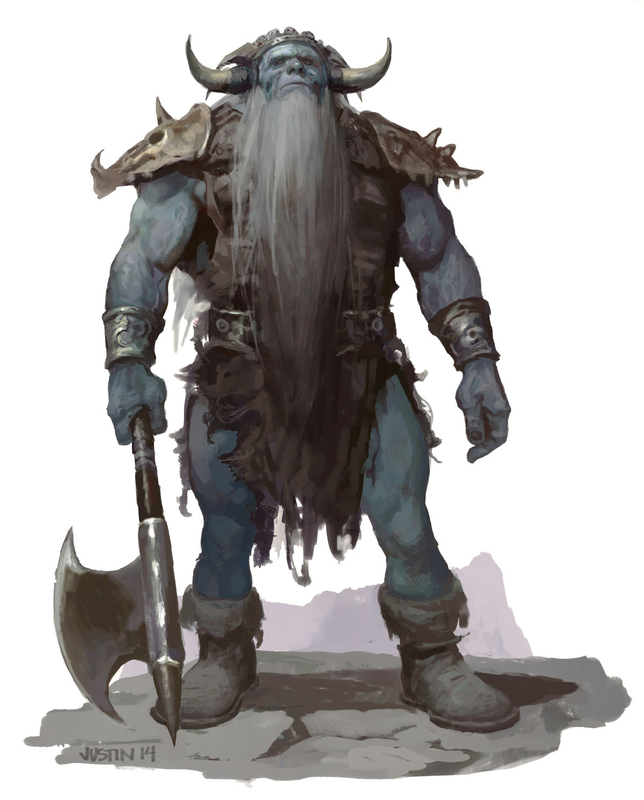 Since Pathfinder is just 3rd Edition D&D with the serial numbers filed off, it's no surprise that Frost Giants are identical to those in D&D, only a little bluer. 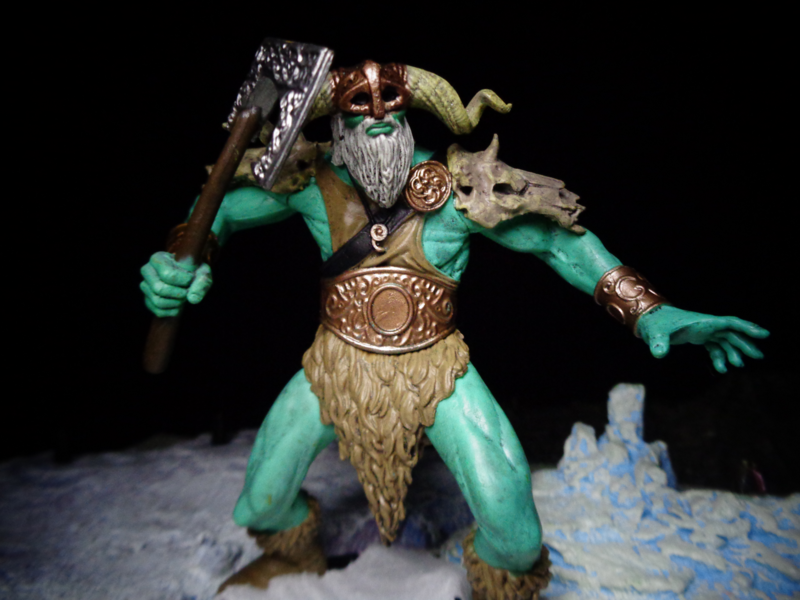 The first mini came out in the 2012 Heroes & Monsters set, and had a unique gimmick that, as far as I know, was only ever used for this figure - never before, and never since. Swappable hands/weapons! Some older D&D minis had removable accessories, like the Fomorian's necklace, but that didn't last (they were too easy to lose). More recent figures will have variants to allow for different weapons, but this? The Frost Giant was packed with two hands, one holding a sword and one holding an axe. Both of his weapons look worn and well-used, befitting a Frost Giant - metal is kind of hard to come by for them, remember? He is the shortest Frost giant mini made, though. It's not immediately obvious, but this one - and to an extent all of the Pathfinder Frost Giants - stands shorter than even the 2004 mini. 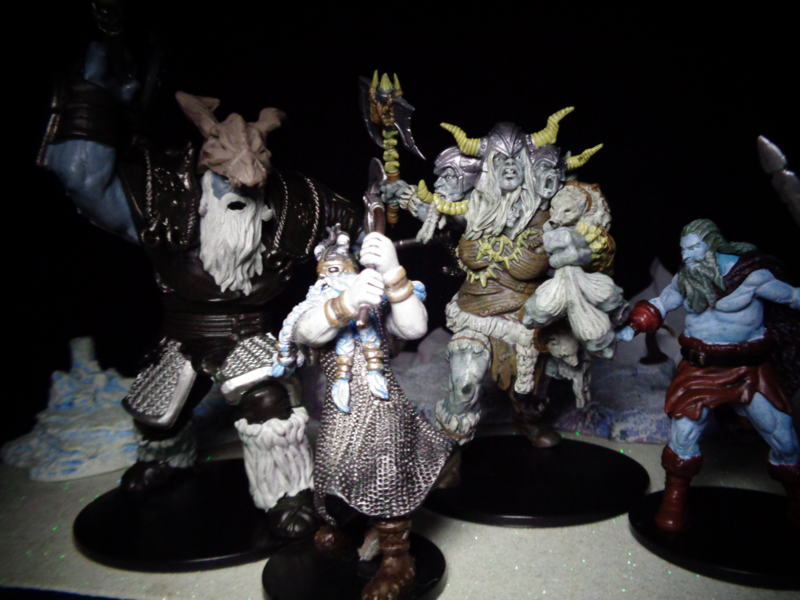 Anyway, for the next few we're going to jump around a little bit timeline-wise - D&D minis resumed in 2014, but Pathfinder has made more Frost Giants since then. 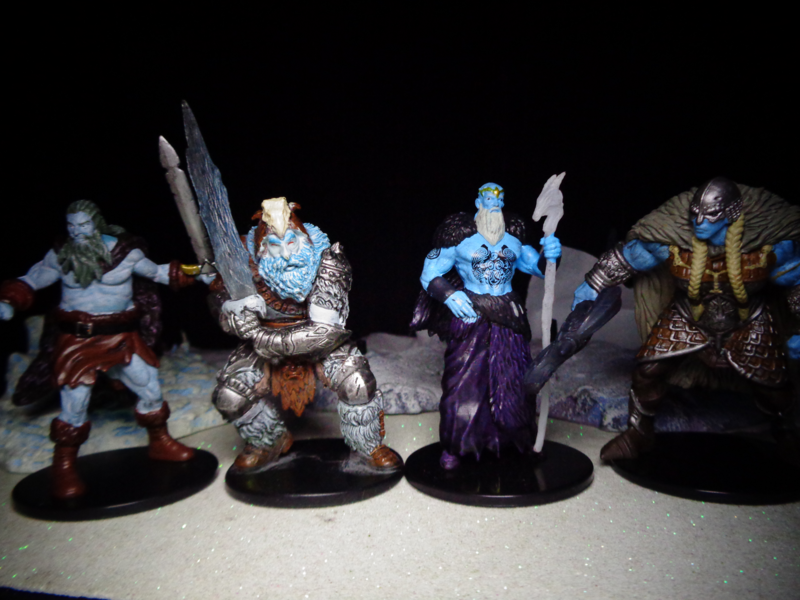 I'll list the Pathfinder ones before we resume D&D, with a special sorta-Frost Giant at the end. 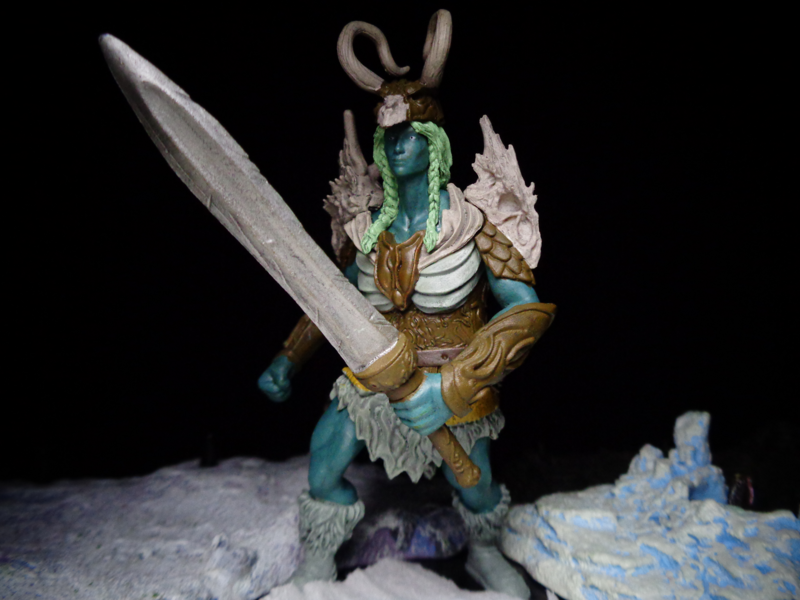 Dungeons Deep in 2015 gave us our first female Frost Giant! And man, she's muscular. She's also dressed more like a real Viking (though I hate to say it, female Vikings didn't get to go on raids. And no, that body buried with a sword doesn't count, long story). But this is fantasy, and I like strong female warriors, and she's dressed in sensible armor, and not all supermodel-ish. Also, that axe looks like it was carved right out of stone! 2016 gave us the Frost Giant Ice Mage, a caster with a really cool tattoo! 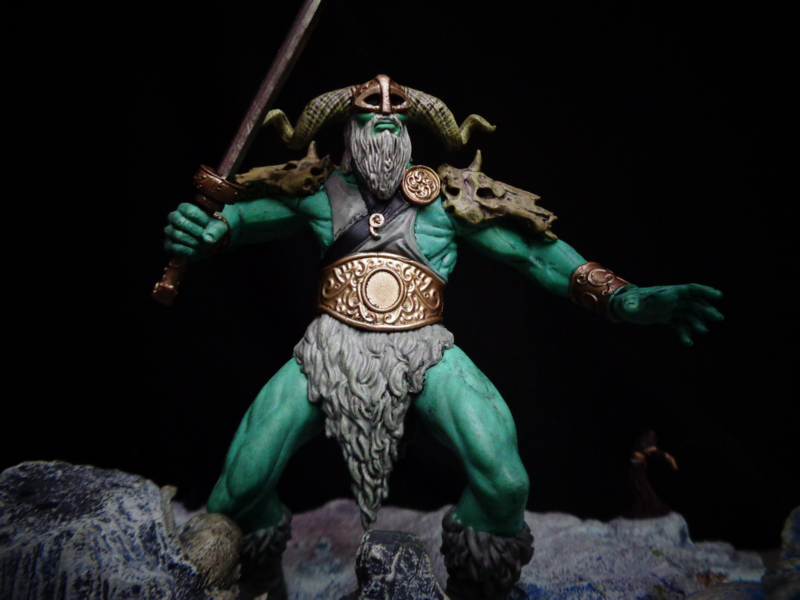 I like this guy, hes a much-needed variation of the otherwise similar Frost Giant themes. 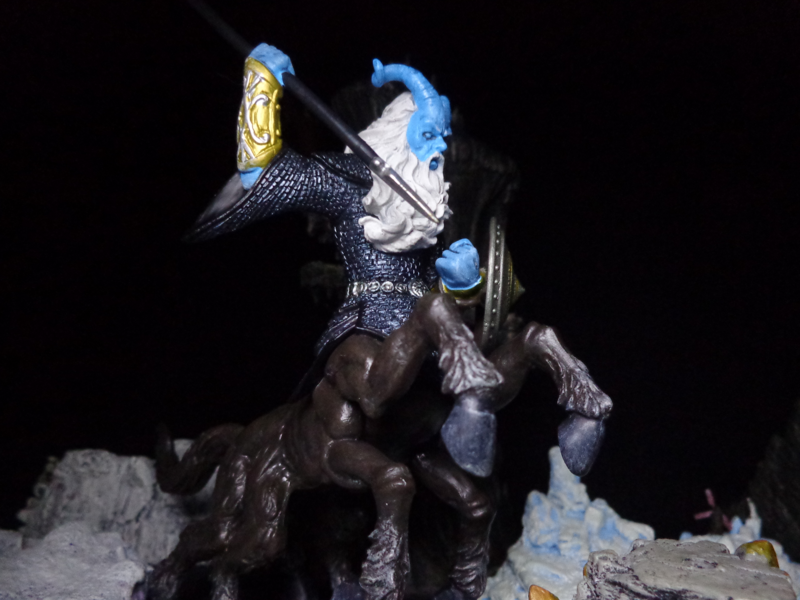 2014 had an exclusive figure, the Svathurim - a Huge monster that is sorta related to Frost Giants, kind of. It's basically a Frost Giant centaur, if the horse were Sleipnir. And also with horns. 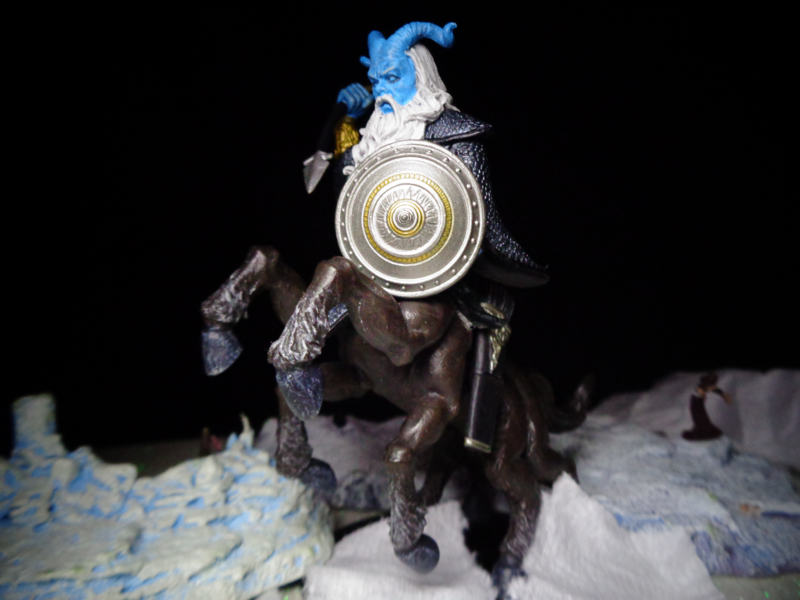 It's a cool monster, reminiscent of several Norse myths at once, but kind of out of place among ordinary Frost Giants. Anyway, now that we've gone this far, it's time for D&D to come back, with a veritable army of 5th Edition Frost Giants! 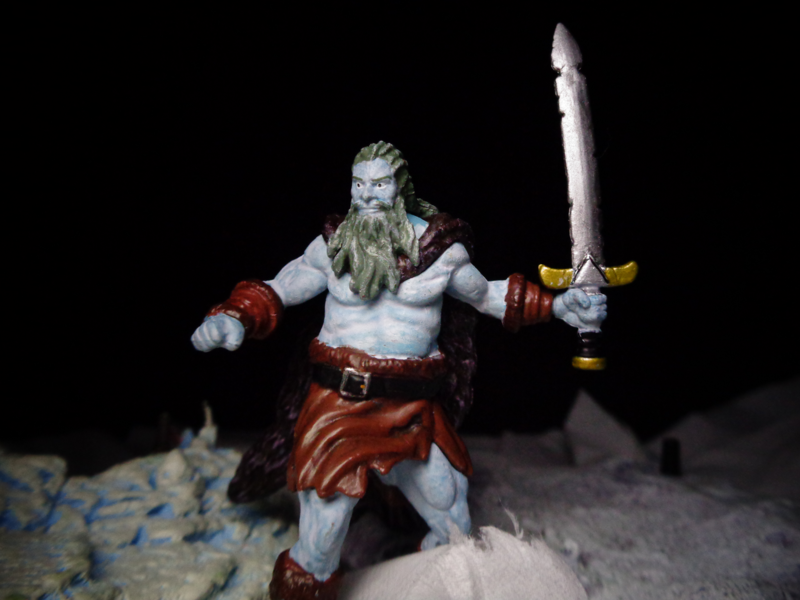 Tyranny of Dragons, the first revival D&D set in 2014, gave us this Frost Giant based on the 5th Edition artwork. It looks awesome - it's also taller than all the previous Frost Giants, but there is one strange detail: it's Large. Same size category as all the others. 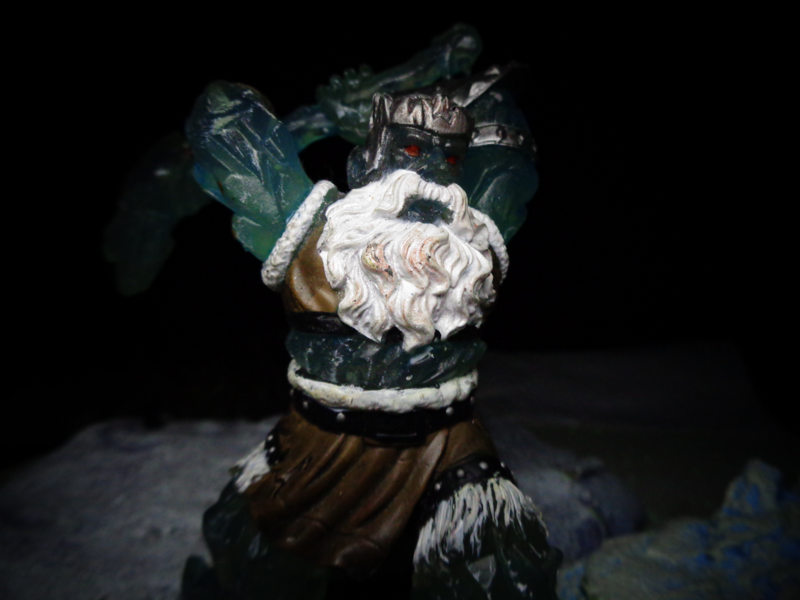 5th Edition changed Frost Giants to Huge - and as far as I can tell, they were Huge all through playtesting, as well. Miniatures have roughly a one-year lead time, so it's not unheard of for things to change in design before the mini is completed. The first 4th Edition minis set had unused designs for Yuan-Ti, Tieflings, and Ogres, among other things. But no, that isn't the case here - it's Large when it should be Huge. Why? my only guess is that they really wanted this set to sell well so the line could continue, and so along with a veritable ton of dragons (there were a lot of dragons in Tyranny of Dragons), they made one of the best-looking Frost Giant miniatures, and shrank the size of his base because the set did not include Huge figures. I admit, though, it is a great figure. Anyway, from here on out, all the Frost Giants are Huge. 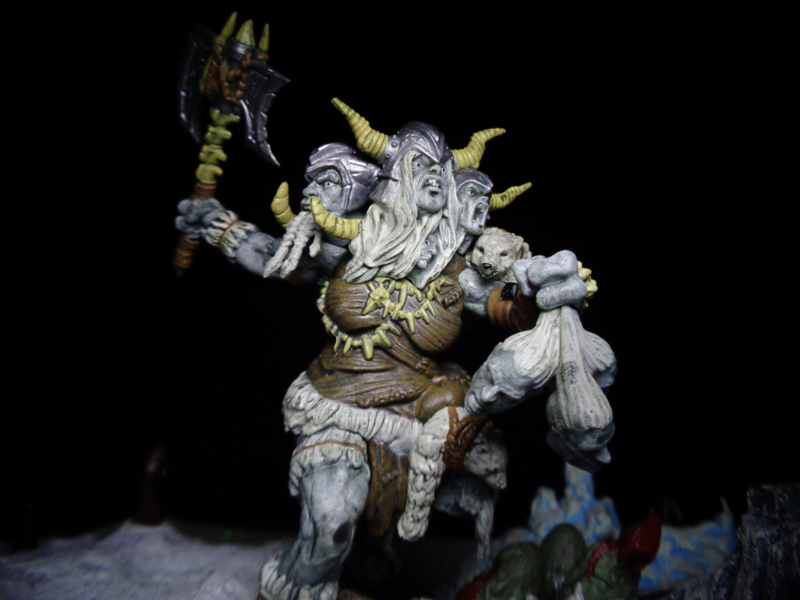 2016 gave us Storm King's Thunder, and a female Frost Giant! She's Huge, the appropriate size for the edition. She is also surprisingly green, which is another running theme in this edition. This is a really good-looking figure, with complex texturing on her armor, as well as a great weapon. Wait, did we say great weapon? Try weapons. 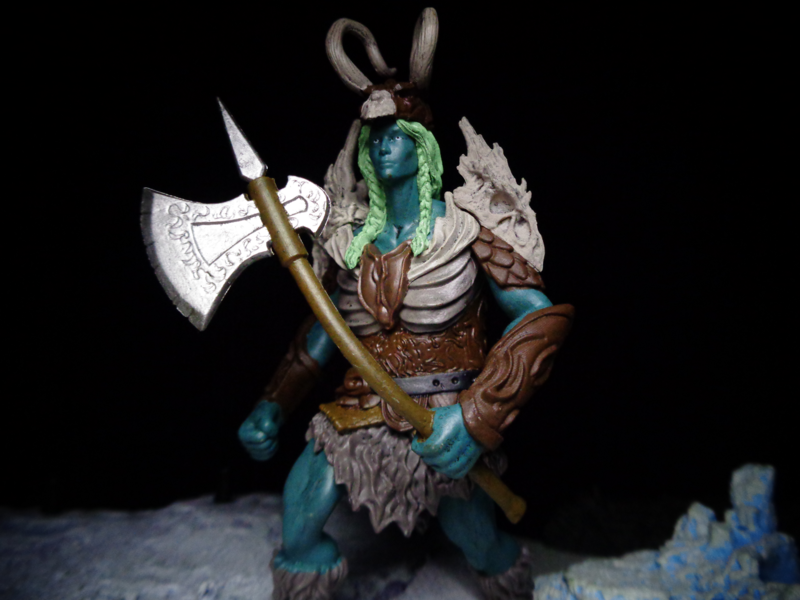 As opposed to the swappable hands of that one Pathfinder mini, a lot of D&D miniatures just use sculptural variants - the alternate Frost Giant has a sword, as well as different coloration on her armor. It's a MASSIVE weapon, though admittedly the camera angle makes it look a little larger than it really is. 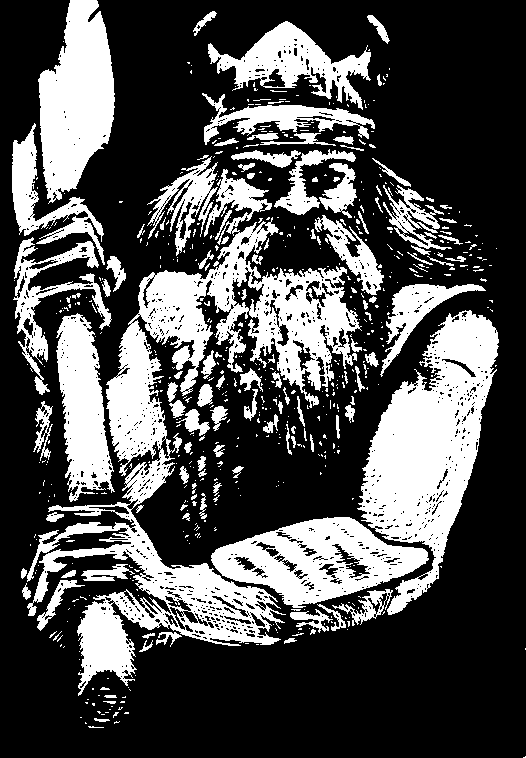 Storm King's Thunder also gave us Harshnag the Grim, a unique good-aligned Frost Giant who helps out in the adventure, and has somewhat of a history in D&D as a whole. He looks awesome, though it's interesting how his skin is gray-blue, and not teal (a theme you'll see again - common Frost Giants as greenish, elite as grayish). Harshnag is a fantastic figure, though, which may be why he commands a rather high aftermarket price. He's not hard to find in a booster, though, as he is quite heavy. 2018 gave us Monster Menagerie 3, which also includes huge miniatures - and look! 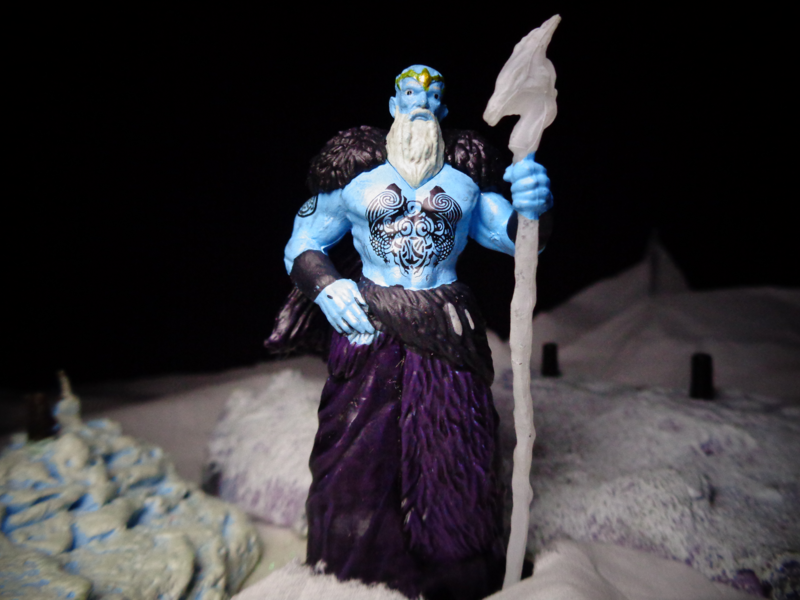 A male Frost Giant! I love this figure, he is basically perfect. Even his weapons (yeah, there's a variant) look more authentically Norse than many of the others, and he's just a great standard Frost Giant. And yes, the variant has a sword. He looks just as good with it, too. 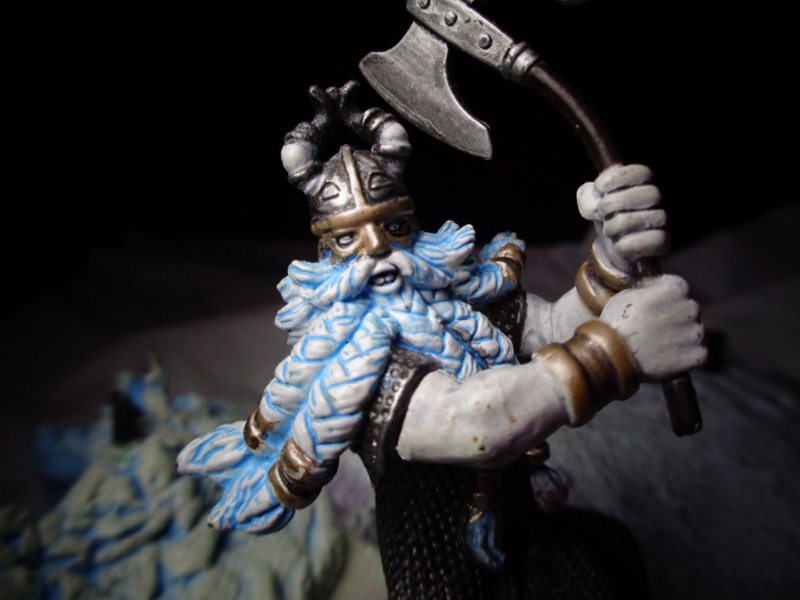 The male and female standard Frost Giants are exactly what a DM needs! But you know, MM3 still had one more Frosty to deliver, just like the last set. 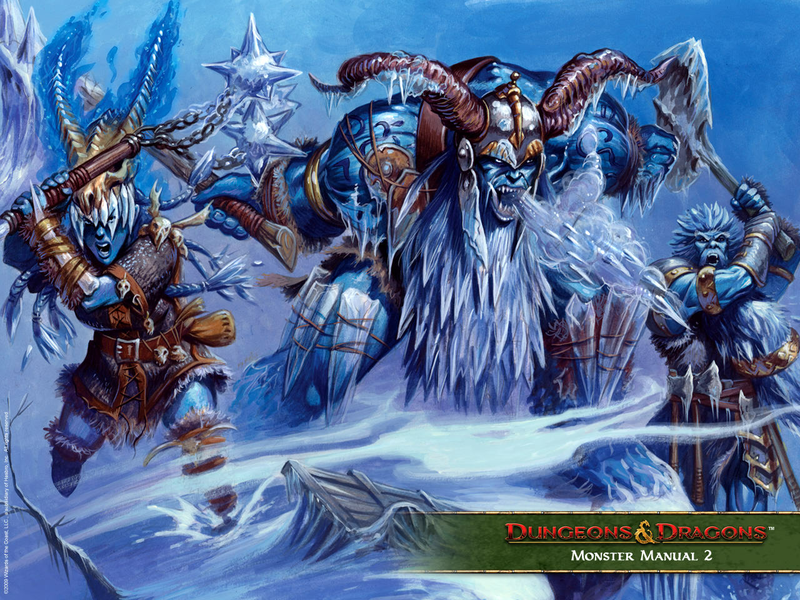 Just to recap, or correctly-sized 5E Frost Giants are two male, two female, one elite male, and one elite female. The Frost Giant Everlasting One is a giant who devoured a troll and gained its regenerative properties, though not without side effects - they tend to sprout extra heads or limbs. This one has multiple heads, specifically to reference the multi-headed Jotun of lore (especially Thrivaldi, a nine-headed Jotun who fought Thor). She's also carrying a bunch of severed heads, which may have come from victims, or may be her attempt at self-grooming. You know, too many heads, gotta lop a few off. 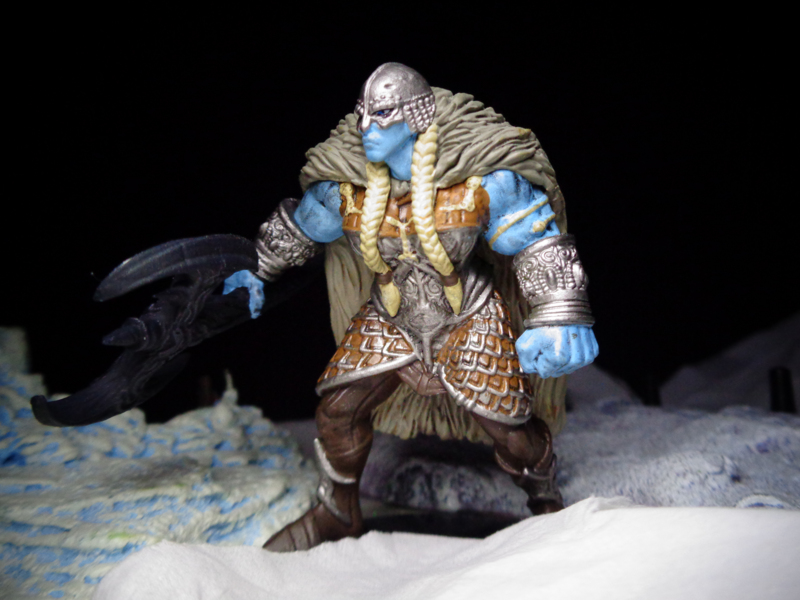 This is another fantastic figure, and stands out even in the massive crowd of Frost Giants currently out there. But let's be honest, these are all pretty good. Well, Frost Giants have certainly changed size - see the difference? Even the taller and shorter older figures were pretty consistent, too. As are the Huge guys - hilarious how the Mastodon brings that tundra scout up to everybody else's level! Well, there you go! 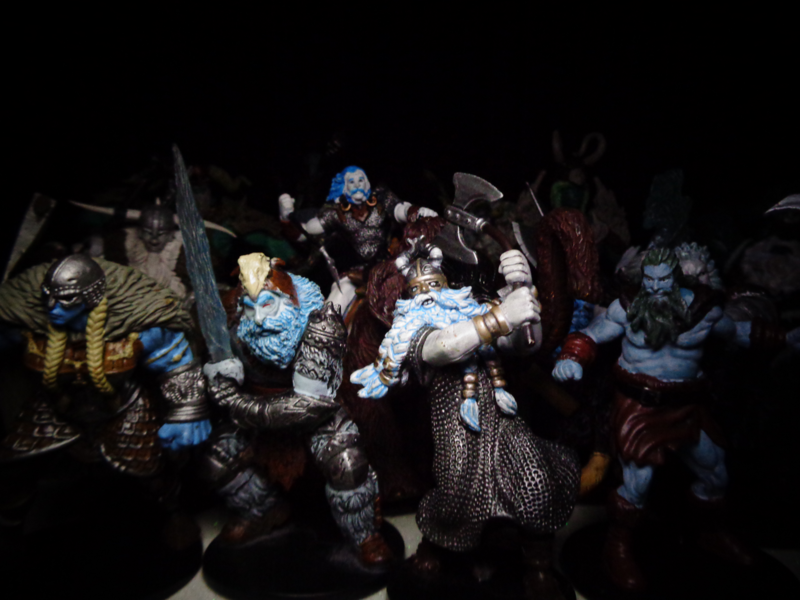 A veritable army of Frost Giants - enough to bring forth Ragnarok! Although it's been a pretty consistent design across editions (size change notwithstanding), the minis manage to be creative, and vary the formula from figure to figure, so none of the Frost Giants seem pointless. I wonder what design I should do next - perhaps Fire Giants? Edited by Ridureyu, 11 May 2018 - 01:28 PM.